The “new” floor is done. The “new” pews are in place. The last thing to return home were the “new” kneelers. We are moving back in. We are coming home. 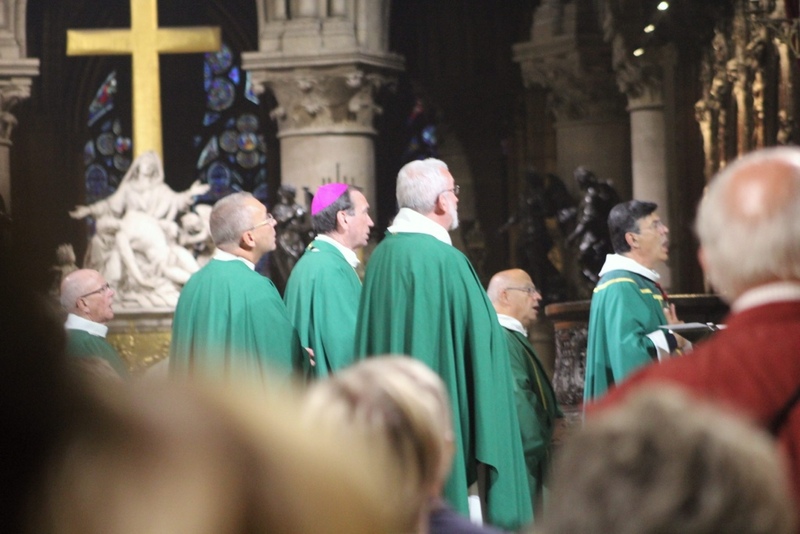 The first oohs and aahs will be heard late on Saturday (tomorrow) afternoon when we arrive for the first Mass of the weekend. Homecoming is this weekend: October 6-7. The homecoming king is already known: Christ the King. He has named his mother Mary as Queen. It should be quite the homecoming celebration! 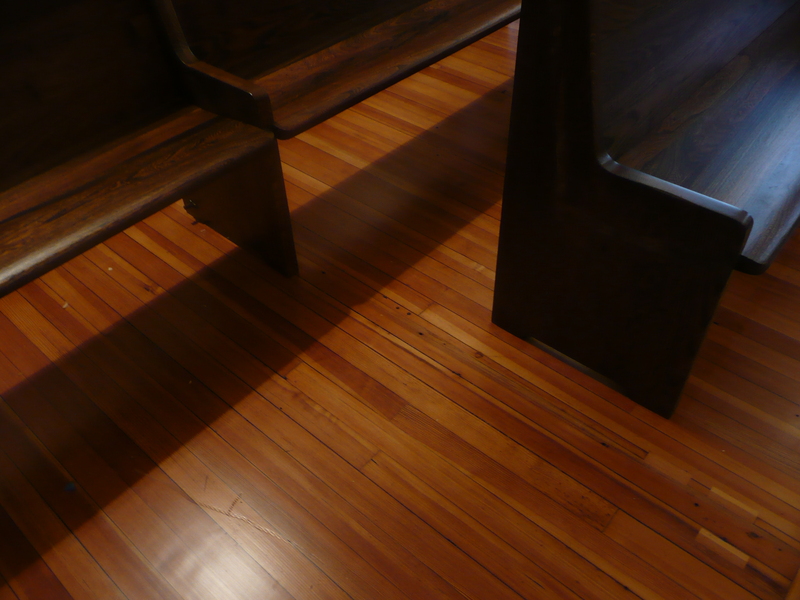 The removal of 90 years of dirt and wax has revealed extraordinary patterns in the elm seats of our pews. 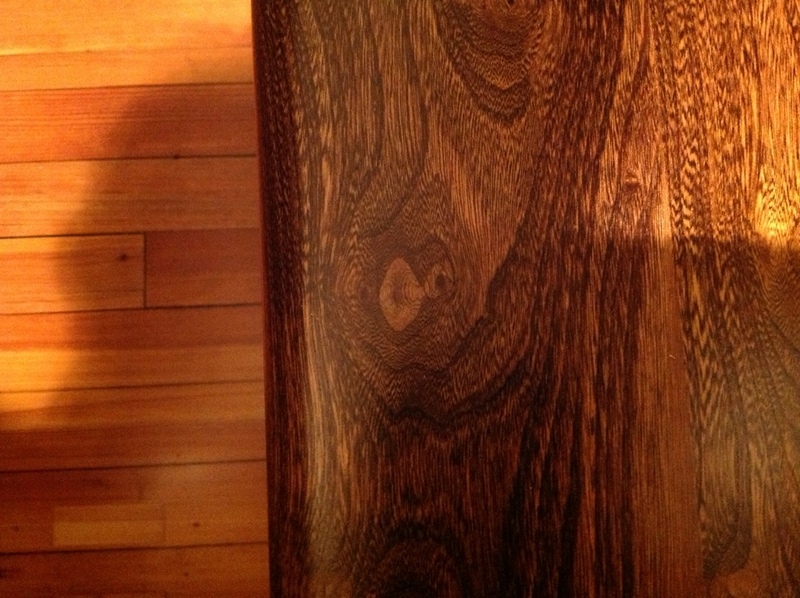 The woodworkers call this one a “bird’s eye.” Can you see the bird’s eye? Be the first one to spot it in your pew this weekend. All will be ready for our “coming home” this coming weekend. 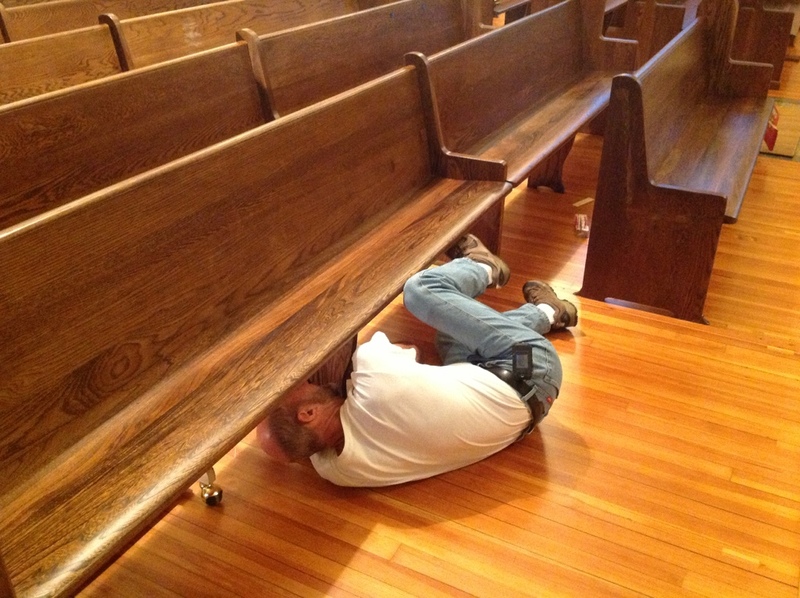 The “new” old pews and kneelers are almost ready to receive you and to help you pray. 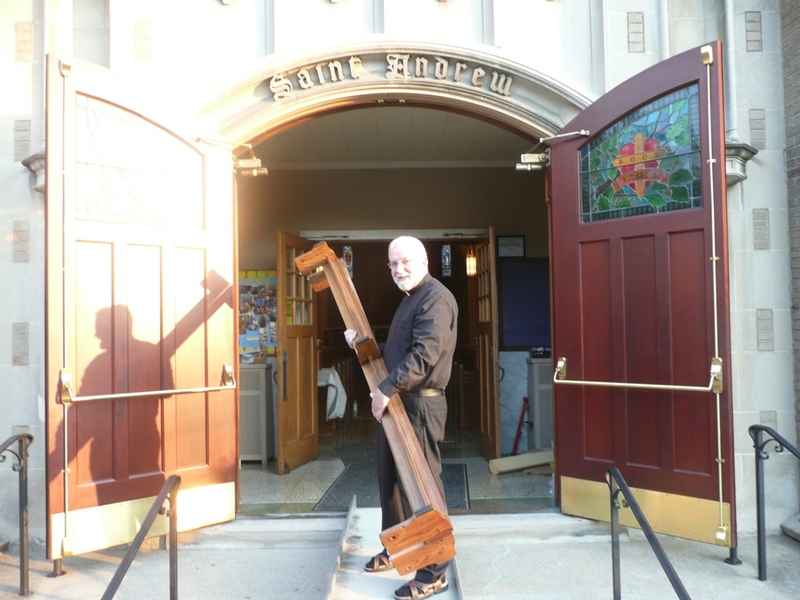 The refurbished pews and kneelers are making their way back home. The “old” has become “new” again. Not replaced, but restored. It will be quite different for our eyes to see the wood floors returned to their original light color. 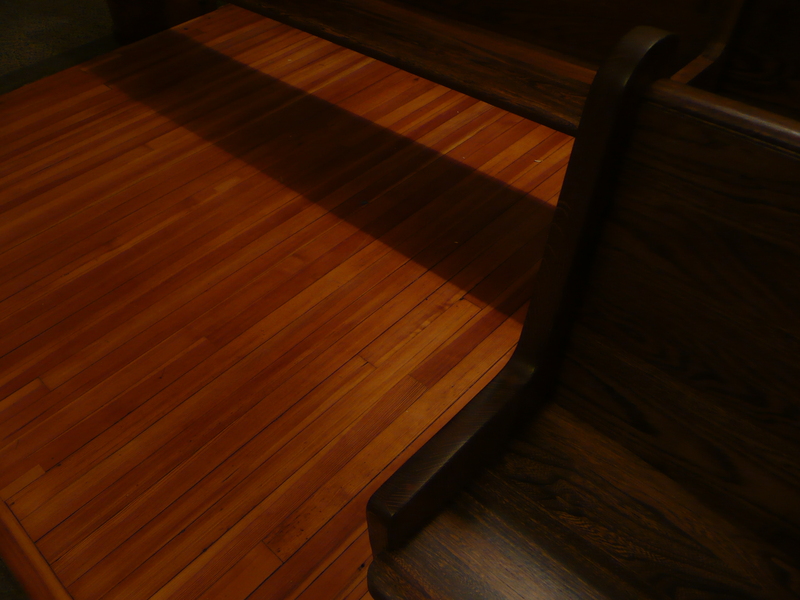 The contrast between the light floor and the dark pews is striking. What do you think?